Posted on September 2, 2013 This might be outdated! I just released a new free plugin for WooCommerce. 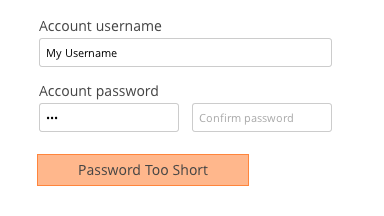 Basically, this plugin adds a password strength meter to the checkout page, in the account creation process. 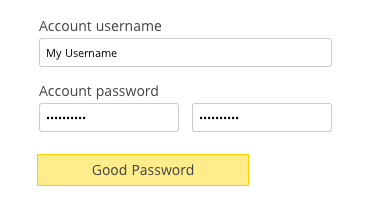 The idea is to enforce users to create better passwords and by consequence secure your WooCommerce install. This looks like it should be great, but whatever I do it shows “Mismatch”. Tried it in both Firefox and Chrome. As soon as you type the first letter of the password confirmation, it shows mismatch and then doesn’t correct to “Weak” etc. Also, I see this is enforced on the Checkout page, but can it also be enabled on the My Account page when you have “Register on My Account Page” enabled for non-logged in users? Great plugin. Where can I define the password strength. I feel yours is to strong. 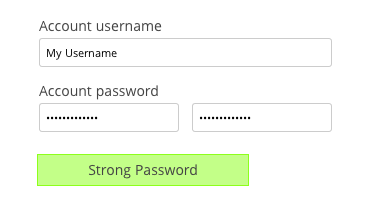 I would appreciate that 8 letter password contains 1 capital letter, 1 number and 1 special character is defined as strong. Otherwise I expect confusion from my customers. Comment peut-on traduire “Strength indicator” lorsque l’on arrive sur la page de création du compte ? Quant aux autres états il n’y a pas de soucis ils sont traduits.